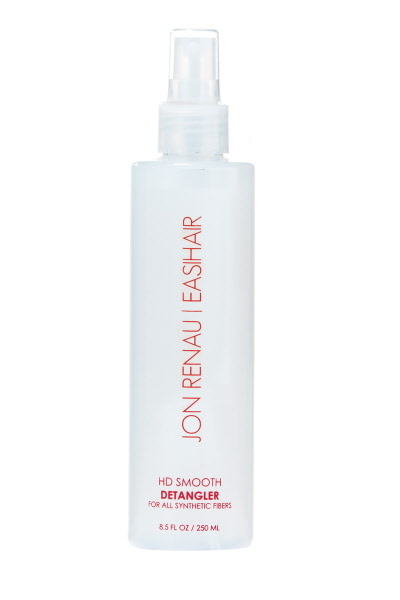 Jon Renau HD Smooth Detangler is a must for all Heat Defiant hair products. Enhance and prolong the beauty of synthetic wigs, hair pieces and hair extensions with this easy to use heat defiant synthetic hair wig detangler. Spray it on and comb through to eliminate tangles and frizz while restoring healthy luster and body. Daily use is recommended. The Jon Renau synthetic wig detangler spray provides superb care for synthetic hair fiber products including wigs, hair pieces and hair extensions.